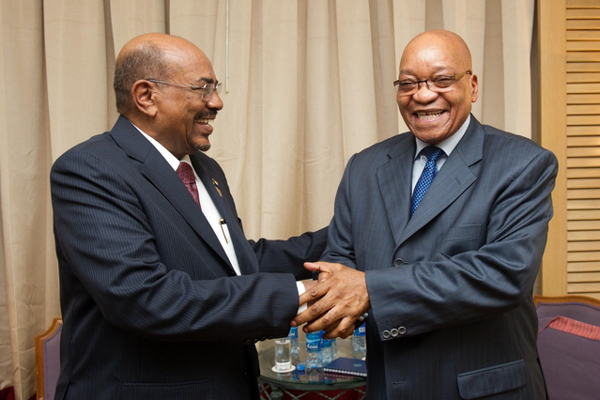 So, Jacob Zuma was supposed to arrest Omar al-Bashir and hand him over to the ICC. Seriously? And to do that while next door Robert Mugabe plays host to Mengistu Haile Mariam, who is accused of killing between 500 000 and 2 000 000 people in his native Ethiopia? I think people are forgetting a few things here. First, South Africa is a product of the African struggle (Sudan included); its freedom in 1994 was a culmination of countless African sacrifices, and endless rivers of blood, going deep into the annals of history. 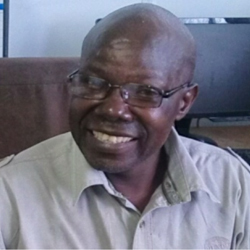 It claimed the life of Samora Machel, the first President of Mozambique. The question is: how would the arrest of Al Bashir by Zuma have been viewed not only by African leaders, but by us, ordinary Africans all over the world? Progressive? I doubt it. South Africa itself is a country of grim contrasts, and the legacies of apartheid are seen everywhere. You just have to walk the township streets and visit the workplaces and schools, then compare that with the high-rise glass buildings and air-conditioned shopping malls in the cities and suburbs. So Zuma decided to set his mind on these problems rather than risk his reputation at home for the sake of a pat on the back abroad! Remember, just a few months earlier, the same African leaders had gathered at an ad hoc meeting to discuss how to deal with the same South Africa during the xenophobic attacks. And it was the toughness of the threats that prompted the South African government to act swiftly and quell the attacks. Second, many of us were appalled by the undiplomatic manner in which the call to arrest al Bashir was made. It was so brazen, almost like an order, and it came through the public media. It had no other intention but to put South Africa in the glare, a blatant challenge to the Zuma administration. No doubt the SA government saw the dilemma it was in. Here was a country known to the world over for its progressive constitution on human rights, and a signatory to the ICC. No doubt, President Zuma and his cabinet had to think hard whether to align with fellow African leaders, or the ICC. Don’t get me wrong: The idea of having an ICC is historic and an important stride for humanity, especially grassroots citizens who suffer the misrule of bloodthirsty dictators, and in the absence of a credible African alternative. But there is a vital cultural element here: As Africans, we have a strong sense of traits and traditions that make us a people. Even though my brother is evil, it will not be by my hand that he faces his demise, especially in the full glare of the world. Some may praise me for it, but I know they’re not sincere, and I’d be haunted as long as I live. Let others do it. There is no sane African today who loves al-Bashir, if what we hear of his atrocities in Sudan and Darfur is true. South African government officials themselves have called him “The Hitler of Africa.” But to give an order like that to an African country, in light of the skewed North-South relations at the moment, is a provocation. And it would not be surprising to find that the order was given as the funders of the ICC were drilling for oil in the Sudan, or next door in Darfur! I know that by failing to arrest al-Bashir, Zuma betrayed many victims of the former’s atrocities and probably got a ‘well done, brother’ nod from mass-murderer politicians elsewhere. I had this sense of betrayal in 2008 when the then SA President Thabo Mbeki came to Zimbabwe and, in the midst of killings, abductions, and all sorts of atrocities, declared from the airport that “there is no crisis in Zimbabwe”. I felt so weak and vulnerable. However, in the Zuma – al-Bashir case, we are looking at a president of one country arresting that of another. Surely the implications are wider and further reaching! Let us also not forget that after the warrant for al-Bashir’s arrest was issued on the 4th of March 2009, the same Bashir attended the African Union summit in a country that is party to the ICC, and travelled to Egypt, Libya and Saudi Arabia, but was not arrested. Yet Zuma was ordered to arrest him in June 2015. The same ICC failed to pursue charges against Uhuru Kenyatta, current president of Kenya, just a few years back. President Zuma’s threats to pull out of the ICC as a result of this debacle could have been prompted by the all familiar sentiments from African leaders that the ICC is targeting African leaders, while no warrant has been issued for the likes of Benjamin Netanyahu or George W. Bush. Well, to me that does not hold much weight, and is not the real excuse, because an atrocity remains one no matter who commits it. So, what are the implications of a South African pullout of the ICC? For starters, I don’t think the ANC is serious about it. Yes, they could do it by virtue of their bigger numbers in parliament, but I maintain that it is just a threat. Carrying it out would cause a huge domestic fracas because it would be a negation of what Mandela stood for. The opposition would have a field day, and it would take massive efforts for the ANC to regain the lost ground. However, because of her leading economic role on the continent, a pullout by South Africa would encourage other countries to do the same. Africa has the largest number of signatories to the ICC – 34 member states. No doubt this would shake the court’s foundations heavily. It would also tarnish the pursuit of international justice, which not many western countries would be happy with, for their different reasons. For us the people, however, there’s no difference. I mean, how many people have been compensated by the ICC, compared to the huge number of victims? The irony is that the countries who support and fund the court are the ones who drain Africa dry with their staunch support for dictators and mass murderers, only to turn against them when it suits them. Even today, they are happy to trade with dictators through the open door while shouting human rights through the chink. But the ICC does not touch them; the court simply carries out the money’s bidding. Anyway, if South Africa really does pull out, I would blame the ICC, and not South Africa or the countries that follow her in doing so. mainly because the ICC has been so undiplomatic and lacked prudent research prior to making such calls. I rest in the hope that the ICC was not really serious in the call, and it was meant to test President Zuma, or give al-Bashir a bit of a scare, just to keep him on the run.